driver and transfer to your hotel. 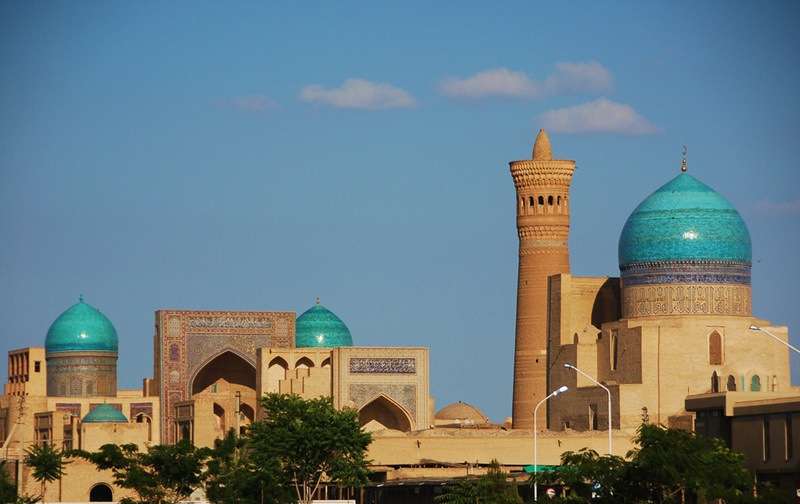 Accommodation at the Tashkent Palace or Intercontinental Hotel. Dinner at Central Asia Pilaf. 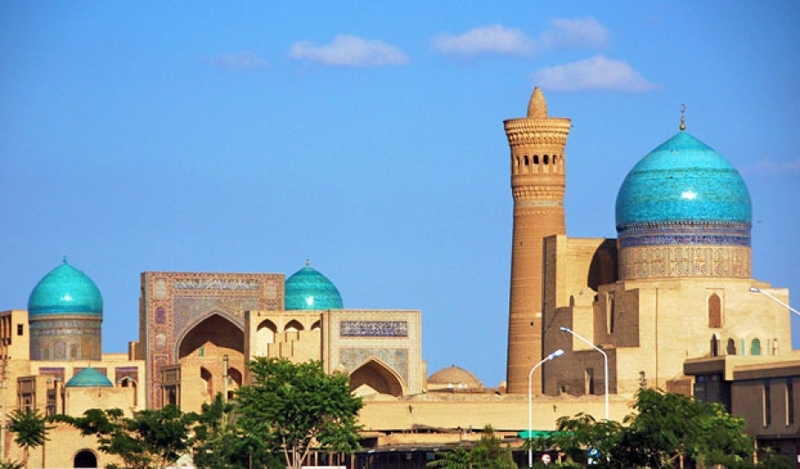 Morning transfer to the airport to take your flight to Nukus and a sightseeing tour. This is a fabulous opportunity to see a purpose-built Soviet style city - in the middle of the desert! Here we will visit the incredible Savitsky Museum ( http://www.savitskycollection.org )which hosts the world's second largest collection of Russian avant-garde art. 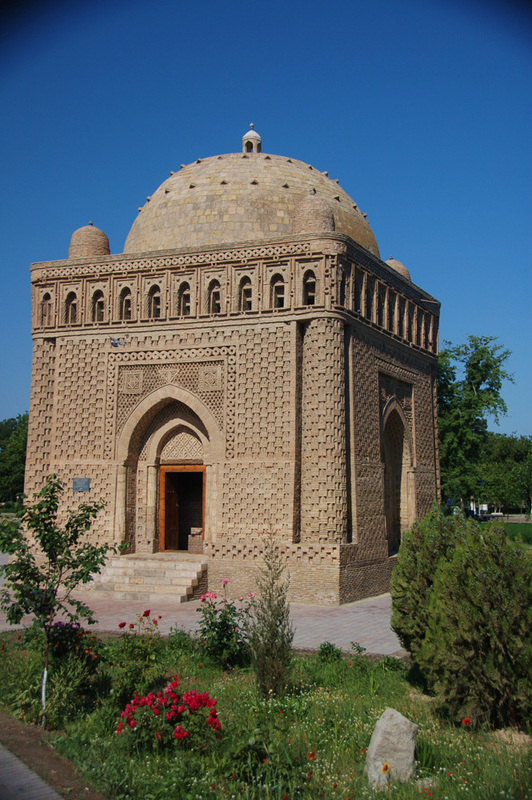 Learn the amazing story of how it came into being and explore its wide-ranging collections including Central Asian archaeological objects, and folk, applied and contemporary art. 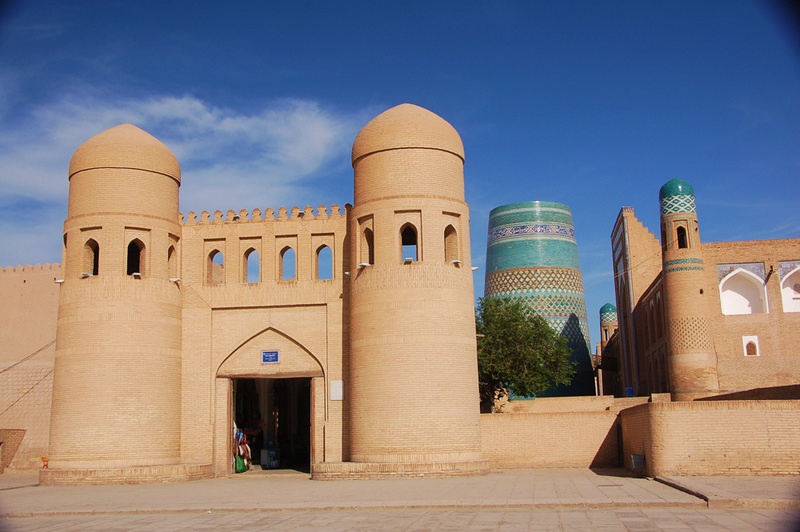 After a special picnic lunch in Nukus, enjoy a sightseeing drive to Khiva, one of the most popular World Heritage Sites of the Silk Road. 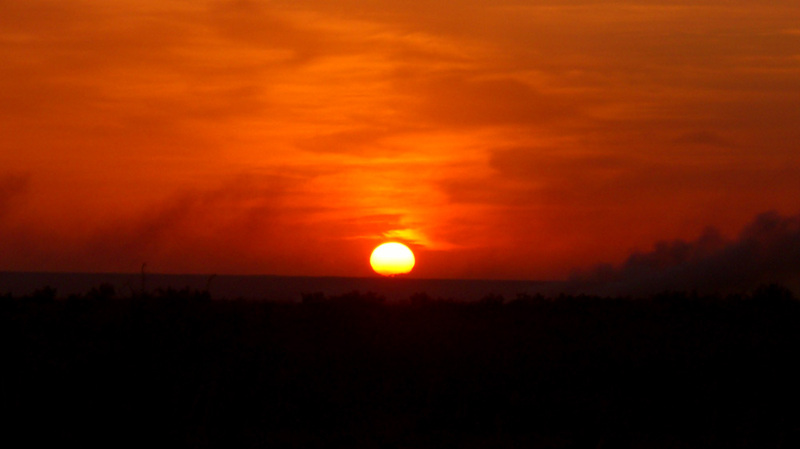 Enjoy the romance of the desert oasis and the rich history and legends of the area. Accommodation at the Malika Keyvak. 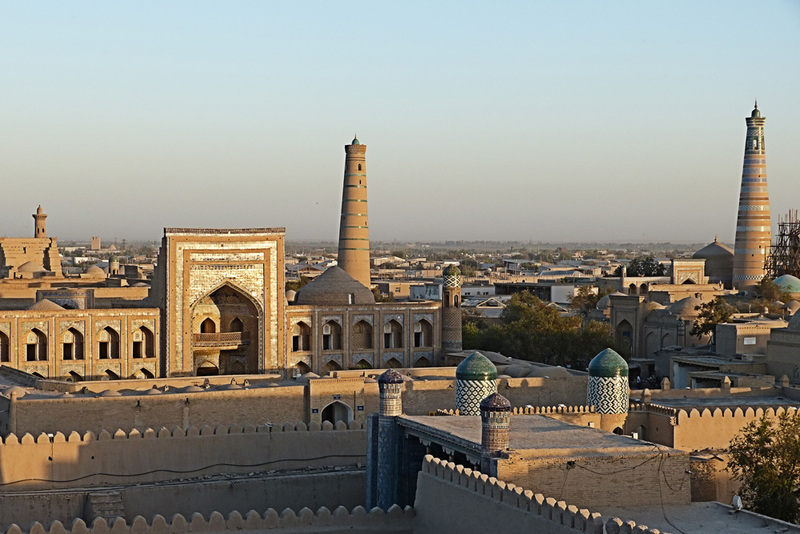 Dinner and a panoramic view of Khiva by moonlight. Dinner at Karim Bek Restaurant. Accommodation at the Registan Plaza Hotel. Farewell dinner Karavan/Tashkent Palace Restaurants. Accommodation at the Lotte Tashkent Palace. 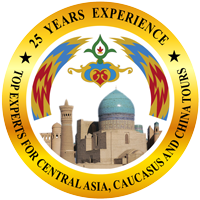 Silk Road Treasure Tours' best adventures; hands-on cultural experiences, local exploration, participation at seasonal and traditional festivals and travel to some of the world's most beautiful and rarely visited locations with local, experienced Silk Road experts to attend a tea ceremony, relax in a chaikhana. 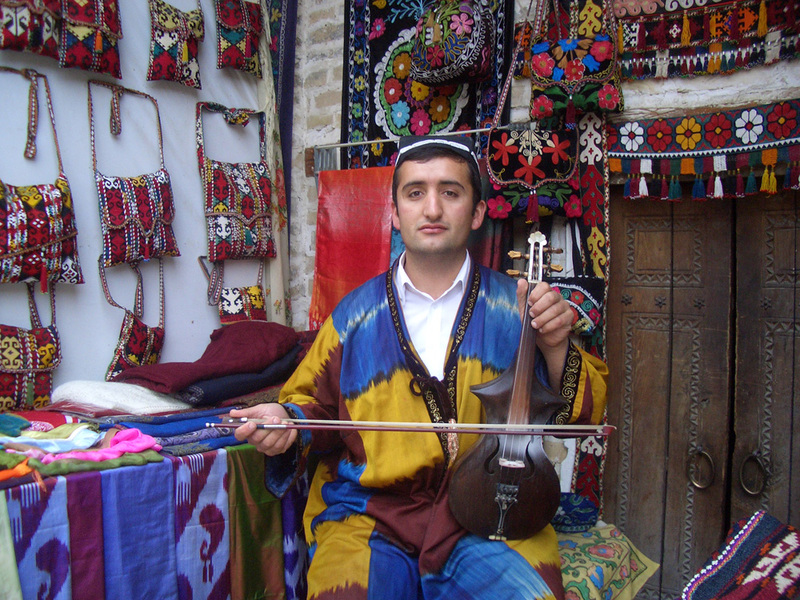 Private, guided visits through Uzbekistan's finest museums, visits to local artisans and galleries. 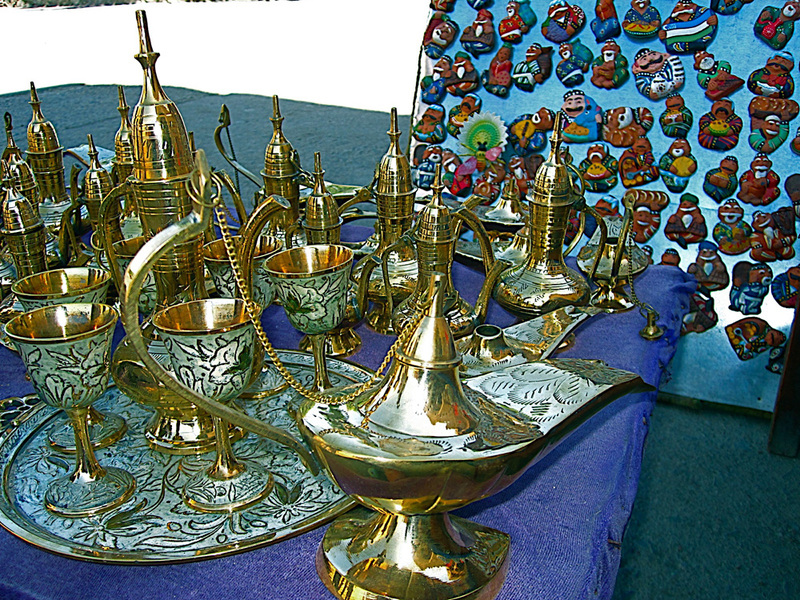 Create your own 1001 nights in the lively bazaars of Uzbekistan! 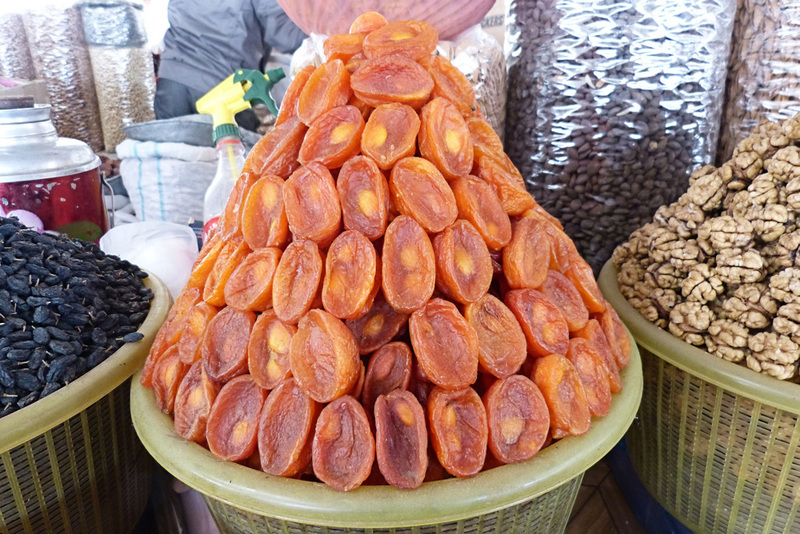 Cooking classes with master chefs and local bakers, wine tasting and dinners at centuries-old caravan serais and ancient sites, where the likes of Marco Polo, Alexander the Great, and Omar Khayam visited.